Spy Hop&apos;s local afterschool and community program in the digital arts has been selected as one of 50 finalists for the National Arts & Humanities Youth Programs Award. The 50 organizations were selected from 376 nominations representing 49 states. 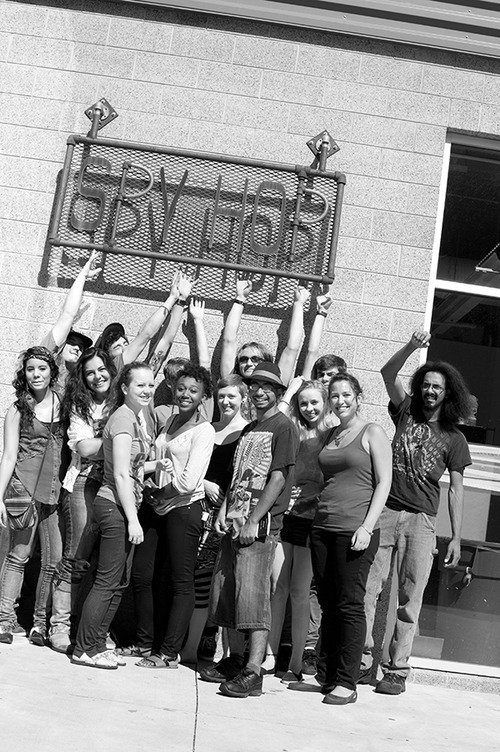 Spy Hop&apos;s selection distinguishes it as one of the top arts and humanities based programs in the country. This is the second time Spy Hop has been recognized as a finalist. The first time was in 2010.The President&apos;s Committee on the Arts and the Humanities, the National Endowment for the Arts, the National Endowment for the Humanities, and the Institute of Museum and Library Services recognize 50 exceptional programs across the country for their work in presenting rich arts and humanities learning opportunities to young people every year, according to the organizations. If selected as one of the top 10 organizations, Spy Hop will receive a $10,000 grant and an invitation to attend the White House awards ceremony, hosted by First Lady Michelle Obama. "We are thrilled to be nominated again for this prestigious award", said Spy Hop Executive Director, Kasandra VerBrugghen, in a press release. "Over the past 15 years, we have been operating on the belief that the next generation has a lot to say, and we have helped thousands of Utah students find their voice and tell their story through film, music, radio and design. This kind of national recognition validates the importance of innovative programs like Spy Hop&apos;s in the digital media arts."